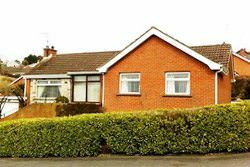 Dunsey Beag Self Catering, Shore Road, Kilclief. Dunsey Beag is located a 5 minute drive from Bishopscourt Racing Circuit. 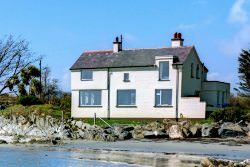 It is a 19th century farm outbuilding and has been sympathetically converted into a two bedroom dwelling (accommodating a maximum 6 people) overlooking Strangford Lough. 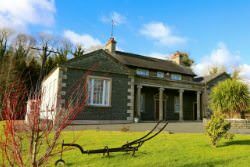 Situated in 5 acres of mature gardens adjacent to Carraig Dunsey House B&B. Dunsey Beag is named after St Duinsech, an Irish saint, who is associated with this area and what is reputed to have been a holy well in the gardens. 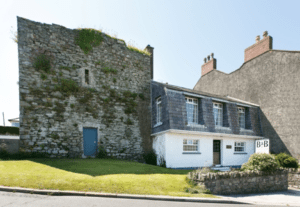 Also a perfect location for golfing, walking, cycling and sightseeing (Game of Thrones location, Castle Ward, Portaferry and Strangford are nearby). The beach is 200m away. WiFi, Smart TV, microwave, electric oven and oil fired central heating with ramp access. Two double bedrooms. One sofa bed in living area ideal for children but can accommodate 2 adults. Margaret’s Cottage B&B is a quaint black and white cottage sitting opposite the gates of Ardglass Golf Club within the village of Ardglass. With three newly refurbished bedrooms and a stunning guest drawing room with panoramic views, it can accommodate up to seven guests. All rooms are ensuite and appointed with flat-screen TV, digital radio and hairdryer, as well as coffee and tea making facilities. 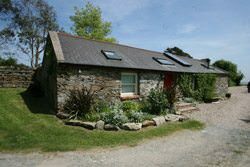 The Beach House is spacious, four bedroom accommodation with a large garden, private off-road parking and stunning sea views. Only a few minutes’ drive from Strangford village, It is situated next to Kilclief Castle, at the mouth of Strangford Lough, County Down. It was built in the 1930s by the parents of the Hollywood actor/film star Errol Flynn. Step straight from the garden onto Kilclief beach to enjoy the sand, rocks and sea with friends and family. Address: 106 Shore Road, Kilclief, Strangford, Northern Ireland, BT30 7NW. 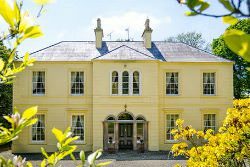 Nutgrove House dates from the 1700’s but the present two storey house is from the 1830’s and may include parts of the original house. 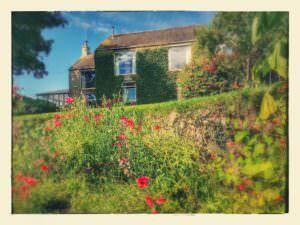 At Nutgrove we have two rooms available for your stay. These are the Red Room which is a warm and cosy double room and the bright airy Rose Room which has twin beds. If necessary, a camp bed could be added to the twin room at a small charge. Both rooms have ensuite bathrooms with bath and shower facilities. Address: 19 Nutgrove Road, Downpatrick, County Down, BT30 8QN. 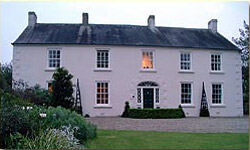 Inch School B & B is set in a Grade II historic building 3 miles from Downpatrick, on the Belfast Road. Guests can enjoy a hearty full Irish breakfast each morning. A selection of cereals, yoghurt, fresh fruit and fruit juice is also available. Nearby popular attractions include Down Cathedral and the St Patrick Centre, situated 8 minutes’ drive from the property. The city of Belfast is 20 miles away. Address: 78 Belfast Road, Downpatrick, County Down, BT30 9AY. 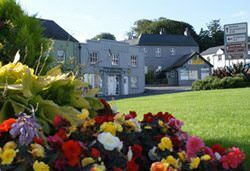 Burford Lodge is located in the seaside village of Ardglass in County Down, Northern Ireland. Activities in the area range from fishing, sailing from the new marina to the international motorsport at Bishopscourt Race track less than three miles away. 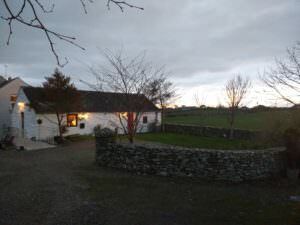 Modern family-run farmhouse, with warm friendly atmosphere and good cuisine assured. 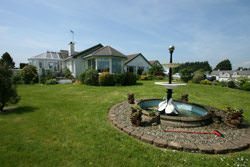 Situated on the shores of Strangford Lough in the heart of St Patrick’s Country. Convenient to Castle Ward, yacht club and bird sanctuary. 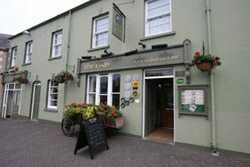 The local restaurant 1 mile away and Royal County Down, Downpatrick and Ardglass golf courses are nearby. 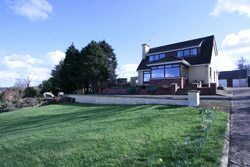 A wonderful place to stay, right in the heart of Saint Patrick Country with stunning views over the countryside. Swan Lodge Bed & Breakfast offers distinctly memorable high quality bed and breakfast accommodation in the serenity that is Saint Patrick’s country. 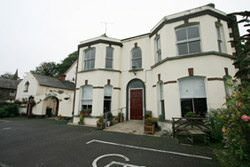 The Pharmacy Apartments are above a renovated Shop and Coal Store situated in the heart of Strangford ‘s pretty village. They have been tastefully restored retaining the character and features of the Old Belfast Roof Store with exposed beams and stone work. Two minutes walk to the Quayside or the Wooded Walk with stunning view’s over Strangford Lough. The village has always been noted for its Seafood Restaurants which cater for all tastes. 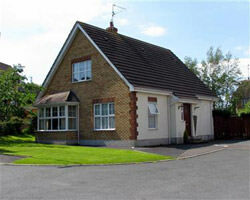 Number Nine is a luxurious bungalow situated within walking distance from the centre of Downpatrick. This accommodation has a double en-suite or standard twin room which have a colour television; central heating; tea/coffee making facilities; free Wi-Fi and hair-dryer Guests will also have access to a residents lounge. 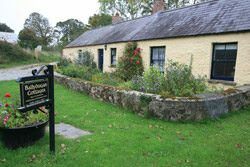 4 Star accommodation in stone-built Irish cottages, set in picturesque landscape near Strangford, Co. Down. 5 Beautifully restored 18th century cottages with 21st century conveniences and breathtaking panoramic views. Close to Strangford Lough and the Irish Sea. A warm welcome awaits you at this tastefully decorated bed and breakfast offering visitors an ideal base for touring the local area. 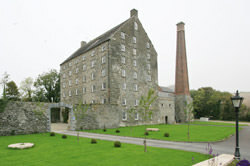 Tastefully furnished and decorated with exposed beam ceilings and feature stone walls in keeping with the character of the Mill, every room is unique. This magnificent 115 year old building, formerly a railway hotel, is the perfect spot for some well-earned pamper and play. 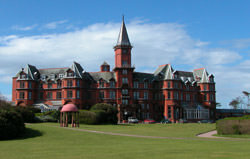 The hotel overlooks a long and winding beach in the heart of seaside town Newcastle, all framed by the Mourne mountains sweeping down to the sea. 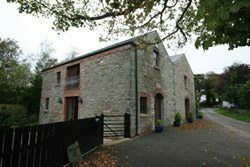 The recently restored River Mill was built in 1718 as a linen mill and is set in the beautiful county Down countryside and guarantees you a warm welcome to this historic region.